During an interview with Fox and Friends Thursday morning, President Donald Trump slammed former Attorney General Eric Holder for saying leftists should "kick" Republicans. "He better be careful what he's wishing for, that I can tell you. That's a disgusting statement for him to make. For him to make a statement like that is a very dangerous statement," Trump said. 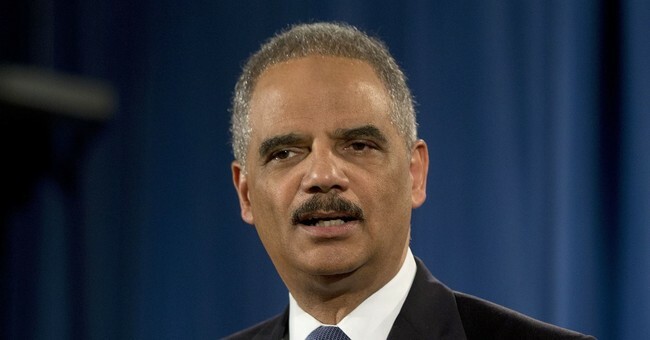 "They better be careful with the rhetoric because it's very dangerous what Holder said. Holder was held in contempt of Congress. Holder went after Christians. He went after our great evangelicals. He went after our tea party people, you know that, the IRS just settled that case." "You know, they talk about us. We are exactly the opposite," he continued. "My rallies are really calm and well run and packed with people. We don't have problems at my rallies...They [leftists] used to send in paid protestors." Trump also addressed rumors of the former Attorney General running for President in 2020 and said he believes Holder would be "gobbled up" in a primary. As far as other 2020 challengers, Trump said he likes what he sees so far and looks forward to Democrats going after each other. "So far I like everyone of them, I just hope they stay healthy. I hope they fight it out and anyone of them I'd like. I just hope we don't get any star or good thinker coming out of nowhere," Trump said. "You look at Booker, you look at Biden, how about Elizabeth Warren? She faked her heritage for years and years. She can't prove anything...I have more indian blood in me than she does and I have none."